The Palm Beach International Boat Show is quickly becoming one of the top shows in the world. After all, who doesn’t want to spend a week in sunny South Florida? It’s no secret that one of the highlights of any boat show is getting to see some amazing yachts up close and personal. While you may not be able to go on-board these vessels, getting to see them in person can give you a new appreciation of the size of these boats, and offer a new respect for the entire crew that it takes to keep everything running in check. Below is a list of the 6 largest yachts to look for when attending the Palm Beach International Boat Show which takes place March 17th-20th, 2016. It should be noted that it is common for yachts to change plans at the last minute, so there is a possibility that some of these vessels may decide not to attend the boat show. Therefore this list may not be 100% accurate at the time of the show. “Solandge” will be the largest superyacht at the show, and should be on every attendee’s list to see. Built by Lurssen, she measures in at a 280 feet long, almost the size of a football field! See her at PHD; Slip 302C-D, 300D-E where she will be displayed by Moran Yacht & Ship, whose headquarters are Fort Lauderdale. This 252 foot vessel was built by Silver Yachts in 2015, and is the largest and fastest aluminum motor yacht with conventional propulsion in the world! Her exhibitor is Burgess and will be located at PHC; Slip 210-212, 219-222A. “Northern Star” was the largest superyacht at the Fort Lauderdale International Boat Show. For anyone who wasn’t able to attend in November, should make a point to stop by and check out this vessel which is a whopping 247 feet long and was built by Larssen. See her at PHD; Slip 302C-D, 300D-E where she will be displayed by Moran Yacht & Ship. Feadship is the builder of this 204 foot vessel. The location of “Positive Carry” will be PHD; Slip 302C-D, 300D-E and her exhibitor is Moran Yacht & Ship. This 203 foot vessel was built by Viareggio in 2009, and is the last of the superyachts above 200 feet long. See her at PHD; Slip 207-208 G-I, where she will be displayed by International Yacht Corp. This mega-yacht was built in 1983 by Feadship. “Illusion” is 183 feet, and can accommodate 12 guests. The Exhibitor is Burgess, whose headquarters are in New York City, and will be located at PHC; Slip 210-212, 219-222A. Make sure to be on the look-out for Mark Bononi, JW Haagensen, and Clayton Swart as they will be at the Palm Beach International Boat Show representing MHG Insurance Brokers, and helping anyone who has questions regarding their insurance! Boat shows can often be a time where crew members to jump ship. Make sure that you maintain proper coverage through the process. 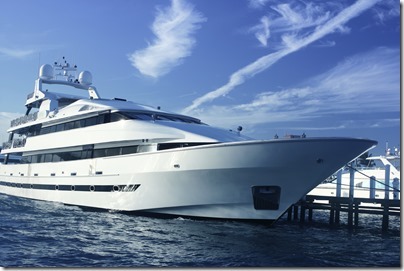 Read our previous blog, “Yacht Crew Insurance Options While You are Between Jobs”, for guidance on what options may be best for you. Our insurance specialists have the knowledge and experience to find the policy that works best for you. If you are interested in purchasing or have any questions about yacht crew insurance or travel insurance, or would like some advice, please contact us at +1 954 828 1819 or +44 (0) 1624 678668 or visit us online at mhginsurance.com. Don’t forget, the Fort Lauderdale International Boat Show is almost here, see you there! The Palm Beach International Boat Show begins today! Have you ever found yourself in a situation where your health insurance isn’t covering what you expected it would? Sometimes mistakes are made, and just because your insurance carrier isn’t paying for something, doesn’t always mean that you will be left to foot the bill. There are steps that you can use to take action and to ensure that you receive the coverage you purchased. By filing an appeal or disputing a health insurance claim, you can hopefully change the outcome. Filing an appeal can sometimes feel like a daunting task and can seem like a hassle, but by following these tips, we hope to ease the process for you, so you know what to expect. 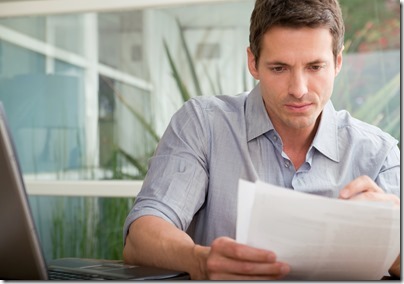 The most important thing that you can do when you are filing an appeal to a health insurance claim is read your policy. You should read your policy when you purchase it, then re-read from time to time so you are refreshed on the breakdown of your coverage. It’s also a good idea to review your policy before having any procedure. Doing so could help avoid a situation where you need to file an appeal. It’s also important to assemble all important paperwork, and keep an organized record of the details of your case (Who, what, when, where, why, how). Having one contact can make the process easier for you. By doing this, you will not have to keep explaining your case to every person on the phone. Also, you may be able to build some rapport with your contact, which may inspire them to go above and beyond to help you. Patience will be required whenever filing an appeal as the process can take some time. The insurance company will conduct extensive research to determine if your appeal is worthy. Going into the situation knowing that the process can take some time may help you with expectations. It’s also important to approach the situation in the right manner. In many situations in life, handling something in a positive, respectful manner can get you a lot further than having a negative attitude or having a chip on your shoulder. Be prepared to contact doctors and hospitals, and do a little bit of investigating on your part. You may come to find that there was an issue with the provider and it was just a simple error. When filing an appeal, there may be a limited time that you have in order to file. Similar to a return policy when you buy at a retail store, you may only have a certain number of days to make an appeal. If your claim appeal is with a network provider, by contract the insurer usually can only pay the network provider, not you. So if you pay the bill and are awaiting reimbursement, it can be complicated. Also, if you decide to not pay any bills and wait for the appeal process to finish, your credit may take a hit. Talk to your doctor or office that you are working with and let them know the situation. Try to keep them from sending your outstanding bills to collections. Filing an appeal can sometimes feel like a daunting task and can seem like a hassle, but by following these tips, we hope to ease the process for yacht crew so they know what to expect. The Fort Lauderdale International Boat Show is here which means one thing for exhibitors, BUSY! Overwhelming may be an understatement in terms of the amount of work that goes into having a successful show. If you find yourself stressing as the show approaches, take a deep breath, and follow some of these tips that may help simplify things and keep your eyes on the big picture; getting the most out of the show. Remember, boat shows can be a fun way to mingle and network with your peers in the yachting industry, those who are looking to get into the yachting industry, and let’s not forget those that go just to see all the boats. So have fun! Boat shows, or any similar types of events are a perfect time and opportunity to network with others in your profession. There aren’t many times during the year where almost an entire industry converges to one place, which is why it is important to take advantage of meeting people. Especially people that don’t work/live in your area. There is a lot going on all at once, and you only have a few days to cram in as much as you can. This makes it incredibly important for you to exercise time management in order to get the most out of the show. Create a schedule or agenda and keep track of any meetings or events that you are attending. This can help you see how much free time you will have, and if there is enough time in your schedule to attend other events. Also, this will help when it comes to manning the booth, by designating times that people must be present. You only have one chance at a first impression. Having a clean and presentable booth can be the difference between someone stopping and talking to you, or someone that will just walk right on by. Just as important as your booth being presentable is your staff being presentable. They should be welcoming and engaged, not looking down at their cell phone the entire time. A good staff can be the difference of making a sale, and turning someone off. Since there is so much going on, any events you are hosting can get lost in the crowd. Post on social media where you will be located, pictures that may help people find your booth, and information regarding any events you would want people to attend. The amount of people you can meet at a boat show is overwhelming. Collect business cards and contact information. Wait a week or two for people to return home and settle in and begin contacting them to follow up. It may be hard to remember everyone you meet, so don’t be offended if someone doesn’t remember meeting you. By following up you can remind them and begin to form a relationship. Don’t forget, the Fort Lauderdale International Boat Show starts November 5th and ends November 9th! For more information on what’s what to be aware of when at a boat show, read our previous blog, “5 Things to Be Aware of When at a Boat Show”. 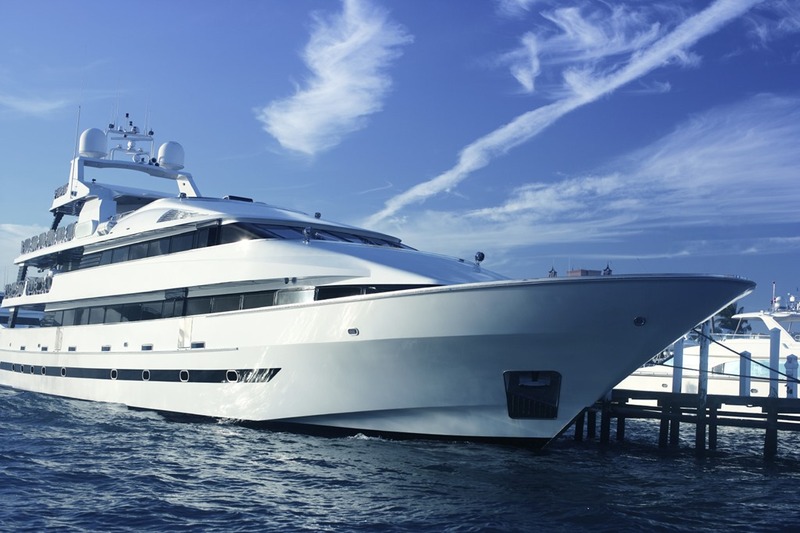 If you are interested in purchasing Yacht Crew Insurance, or would just like to talk to us for more information or advice, please contact us at +1 954 828 1819 or +44 (0) 1624 678668 or visit us online at mhginsurance.com. MHG has the Insurance Specialists to get you, your family, or group, the best coverage for your budget. It’s no secret that one of the highlights of any boat show is getting to see some amazing yachts up close and personal. This is even more so at the Fort Lauderdale International Boat Show which takes place in the yachting capital of the world! While you may not be able to go on-board these vessels, getting to see them in person can give you a new appreciation of the size of these boats, and offer a new respect for the entire crew that it takes to keep everything running in check. Below is a list of the 6 largest yachts to look for when attending the Fort Lauderdale International Boat Show which takes place November 5th-9th, 2015. It should be noted that it is common for yachts to change plans at the last minute, so there is a possibility that some of these vessels may decide not to attend the boat show. Therefore this list may not be 100% accurate at the time of the show. “Northern Star” will be the largest superyacht at the show, and should be on every attendee’s list to see. She was built by Lurssen and is a whopping 247 feet long. See her at Sybass Slip 4, where she will be exhibited by Moran Yacht & Ship which is headquartered in Fort Lauderdale. This 216 foot vessel was built by Oceanco in 2005 and refurbished in 2012. She is the Tri Deck model, and can accommodate up to 12 people. Her exhibitor is Worth Avenue Yachts which is located in Palm Beach, and will be located at Sails Marina Slip 1. This mega-yacht was built in 2013 by Icon Ocean Going. “Meridian” is 205 feet, and can accommodate 16 people. The Exhibitor is YachtZoo LLC which is located in Fort Lauderdale, and will be located at Sails Marina Slip 3. “Lady Lola” was built by Oceanco and her exhibitor is Merle Wood & Assoc. who are headquartered in Fort Lauderdale. The location of this 205 foot yacht will be Hall of Fame North. Feadship is the builder of this 204 foot vessel. The location of “Positive Carry” will be Hall of Fame FD 22-26 and her exhibitor is Moran Yacht & Ship, which is located in Fort Lauderdale. This Trinity yacht was built in 2012 with the interior being done by the award-winning Patrick Knowles. She is a Semi Displacement model and her 197 feet can accommodate 12 people. The exhibitor is Burgess which is headquartered in New York, and will be located at Hall of Fame FD 4-6. It's no secret that those who work on cruise ships can be away for long periods of time. Contracts can last anywhere from a few months to almost a year. Being on a ship for that amount of time can be difficult to pack for. How are you to know what items you will need a month from now? Here are some tips you should use to make packing for your next contract simpler and more efficient, after getting proper insurance of course!